Being able to chill a glass of wine quickly is the wine-equivalent to building a better mousetrap. My partner doesn’t understand why this is important – thinking, ‘what kind of person is so desperate for a glass of wine they can’t wait 60 minutes!’ Answer – EVERYONE! My usual go-to method has been whacking a bottle of wine in the freezer. Yes this can be relatively quick, but it’s not as quick as our new method. Plus, I can’t tell you how many times I’ve frozen the forgotten wine because I was side-tracked by the gin and tonic I had while waiting! Wait no more – because The Wine Wankers have invented the Tea Bag Method! Step 6 – your wine will now be chilled to perfection. Cheers! Previous Is vegan wine bulls%&# ? That’s downright chilling. We have sleeves we keep in the freezer (basically cold packs) that slip over a bottle of wine or other beverage. Those sleeves chill a 750 ml bottle in about 10 minutes (we’re at 5000 feet above sea level. I don’t know if altitude effects chilling time like it does boiling temps and cooking time), and you just leave the sleeve on the bottle and it keeps it chilled sitting out on the table or counter. You do your 3 minute version and then stick the rest of bottle in a sleeve and then the bottle is chilled for the next glass. Move to North Pole. Leave bottle outside igloo 45 seconds. Done. that sounds like an expensive bottle of wine – i think i’d want a warm drink though! 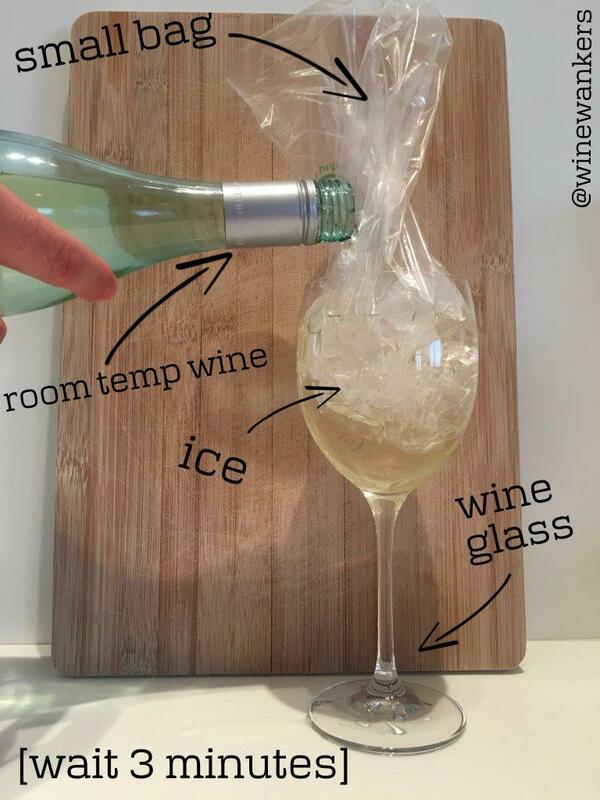 Great idea, unfortunately all my wine is currently chilled. I’d love a visit to South Florida!! Thanks for this smarty pants tip. This is brilliant. I will definitely be trying this method out soon! I usually just put ice in my glass, but you are right, it does water down the wine. Hi Conrad Now that is a good idea. Thank you for liking “Controlled!” Hope you are well.#TheFoureyedPoet. Now that’s just damn genius. haha – we think so too!